Many of the songs on James McMurtry‘s albums feel like vignettes from larger stories. The listener can feel that he or she is coming in on the middle of the story. If he wanted to, McMurtry could probably revisit his songs’ characters at other points in their lives, creating yet more compelling stories. “Basically, it never occurred to me to do that.” he chuckles. “But that might be a good tactic for me when I need to get another song written.” But so far – across more than a dozen albums – the Austin-based singer-songwriter has never had any trouble coming up with new tunes. McMurtry released his first album in 1989 and had been performing for years before that; his current run of concert dates is billed as the “Back At It” tour. As a longtime touring musician, he has seen a lot of changes in the music business. Back before Napster and Spotify,” he observes, “we toured to promote record sales. Now we make records to promote tour dates.” So does he think things are tougher for a musician today than decades ago? It really hasn’t changed my life, because [making music] is what I was doing anyway,” McMurtry says. Then as now, standard industry recording contracts place the expenses associated with making a record upon the artist; those costs are charged before paying anything to the musician. “My early records on Columbia didn’t recoup, so I never saw the back-end on those records,” he says. 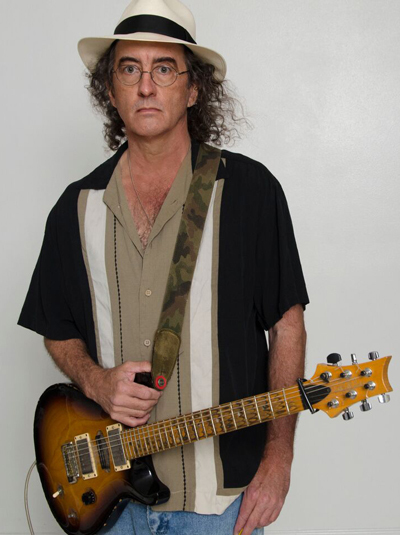 Click HERE for another interview with James McMurtry.